Ens. 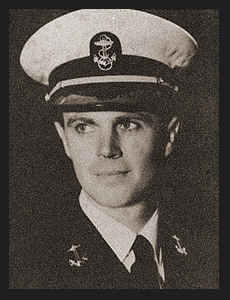 George R. Woodmore, son of Mr. and Mrs. F. W. Woodmore, graduated from Manitou High School and Okla. A & M. Entered Navy in May, 1942; was killed in action Sept., 1943, in Italy. Awarded EAME Ribbon, the Purple Heart, Silver Star.